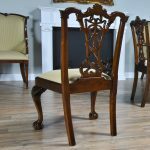 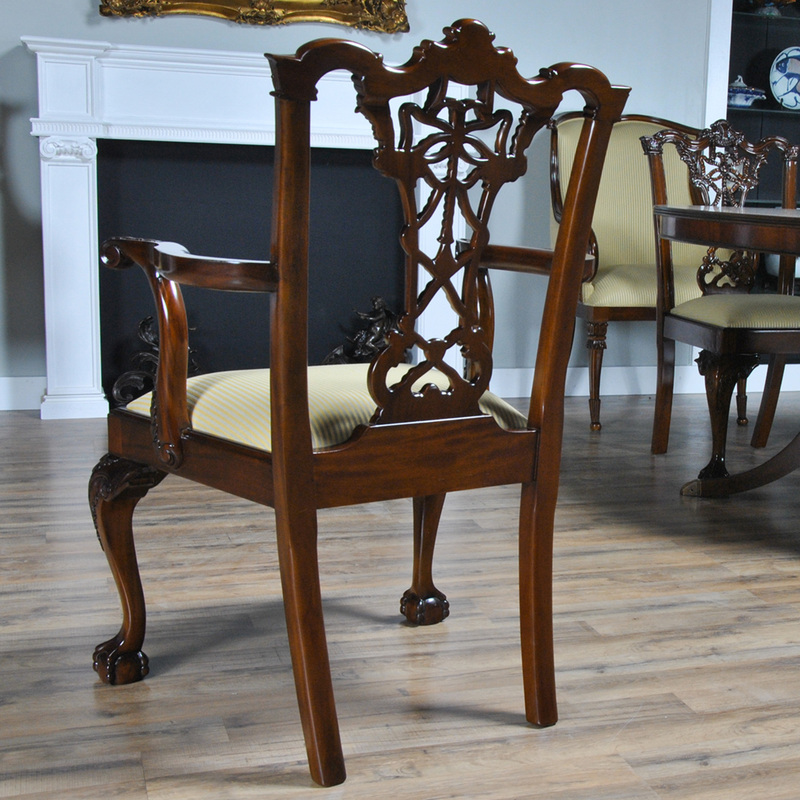 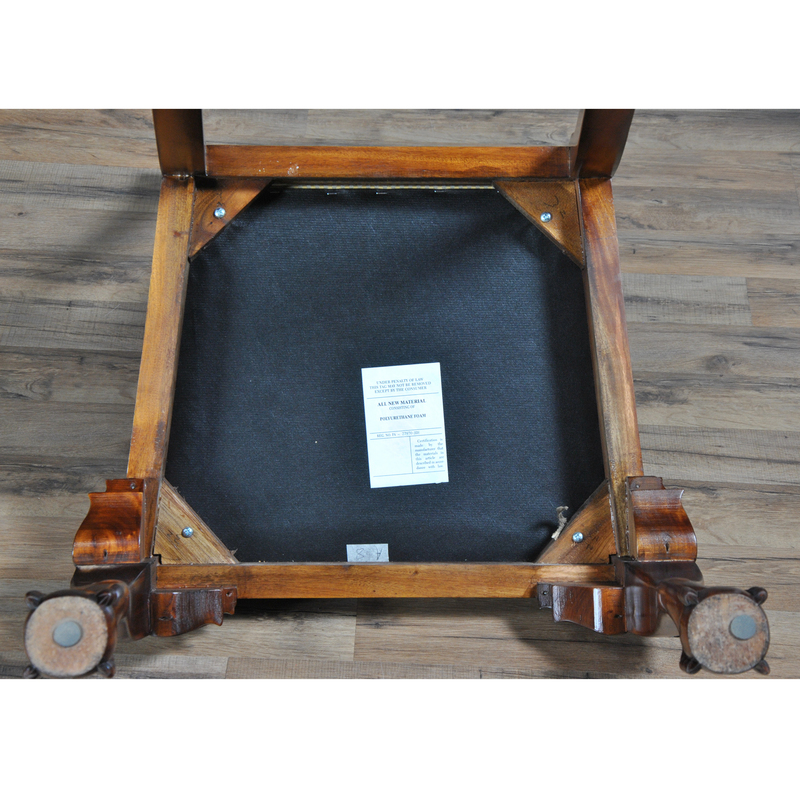 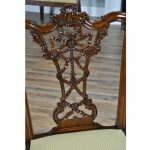 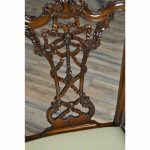 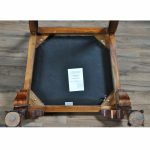 This set of ten Carved Mahogany Chippendale Dining Chairs by Niagara Furniture are also often referred to as ribbon back chairs since the carvings in the back of the chair appear to be ribbons. 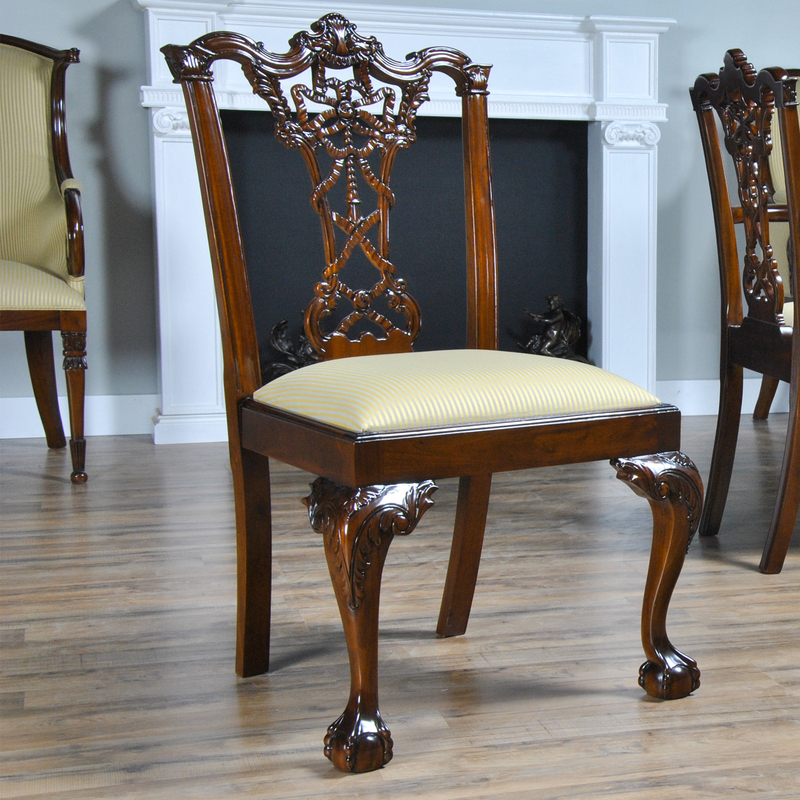 Each Chair is hand carved from kiln dried, plantation grown solid mahogany. 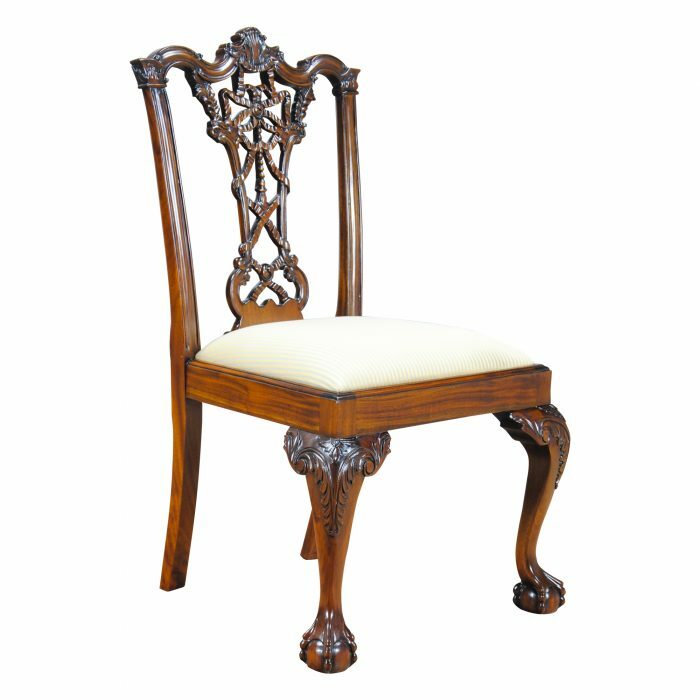 Our most ornate set of dining chairs, they are finished beautifully in a rich, warm brown tone and ready to be used in your home today with our most popular neutral fabric already applied to the seats. 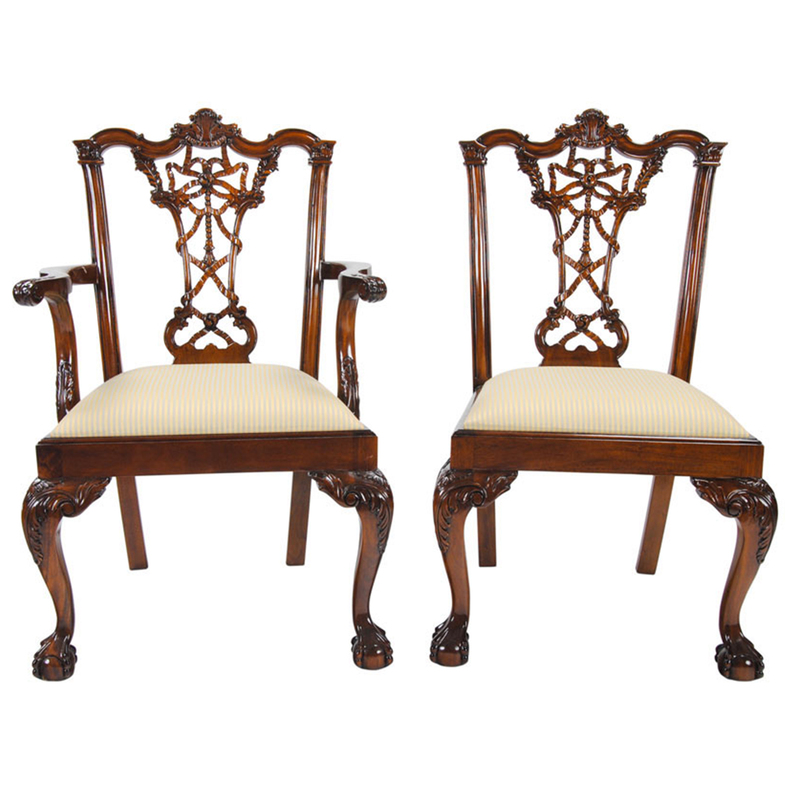 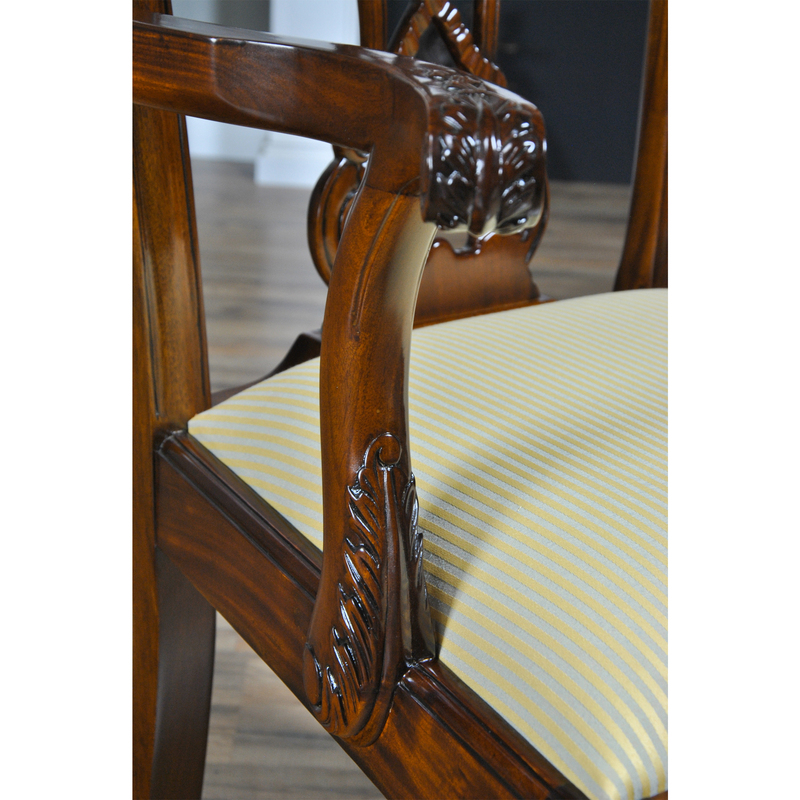 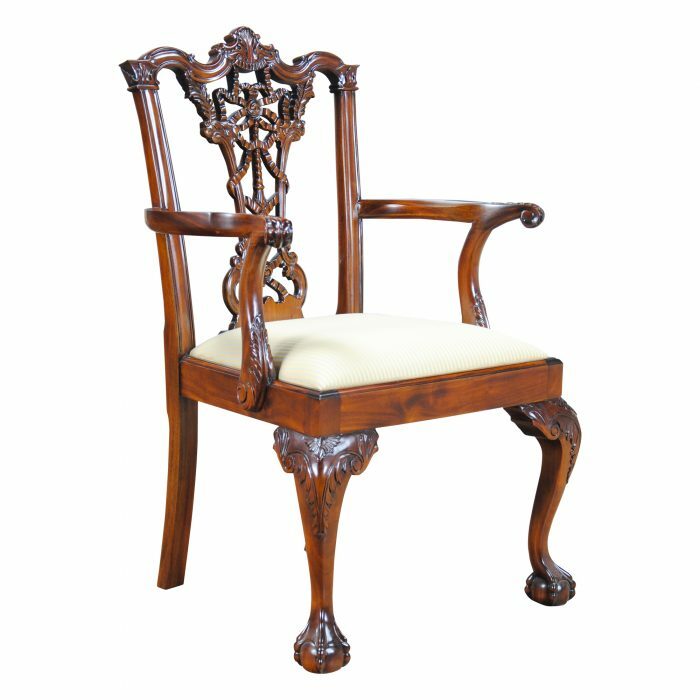 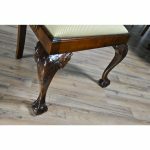 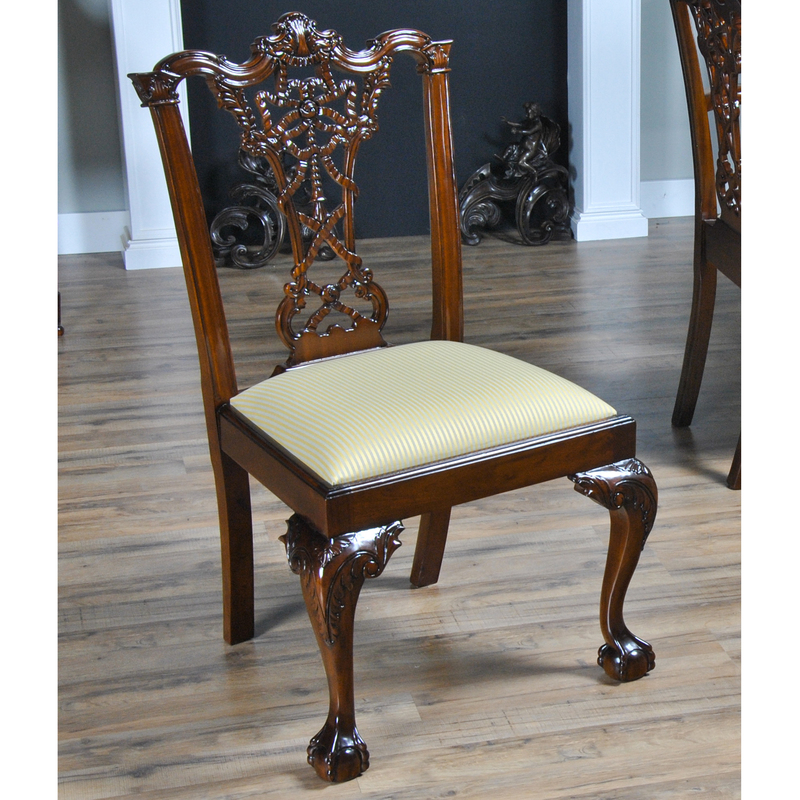 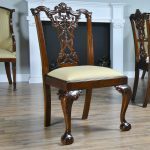 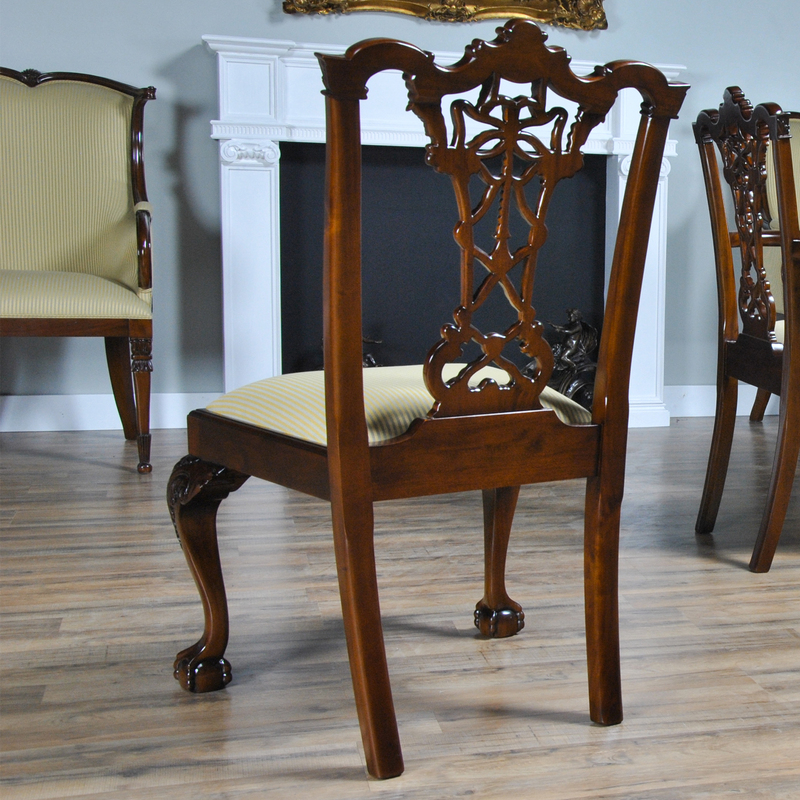 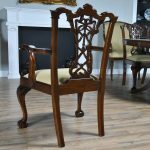 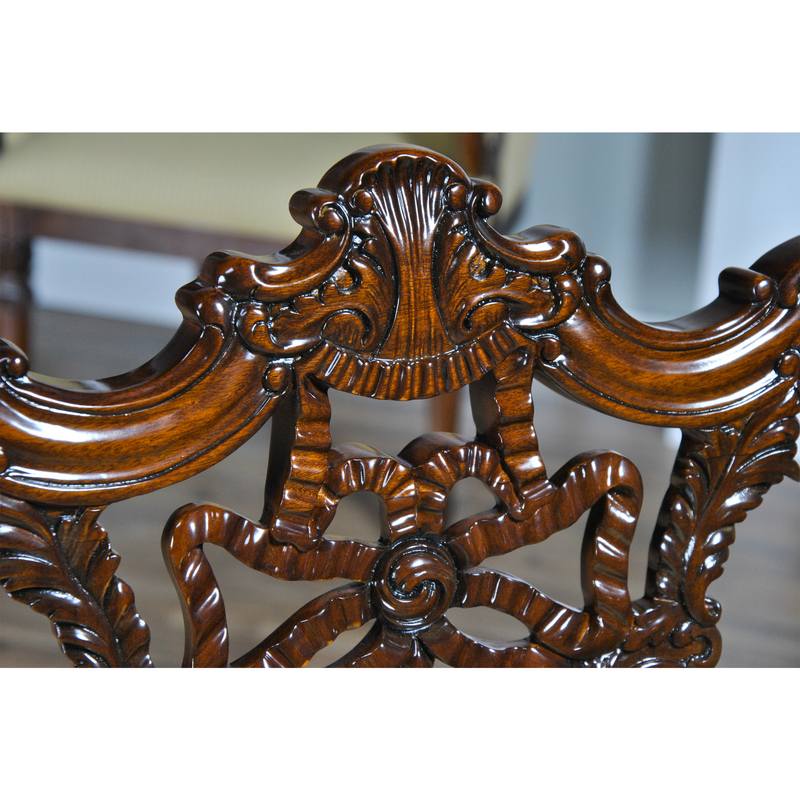 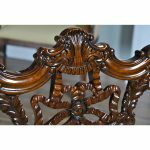 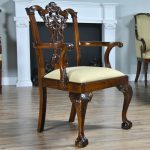 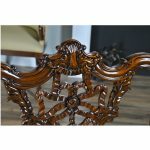 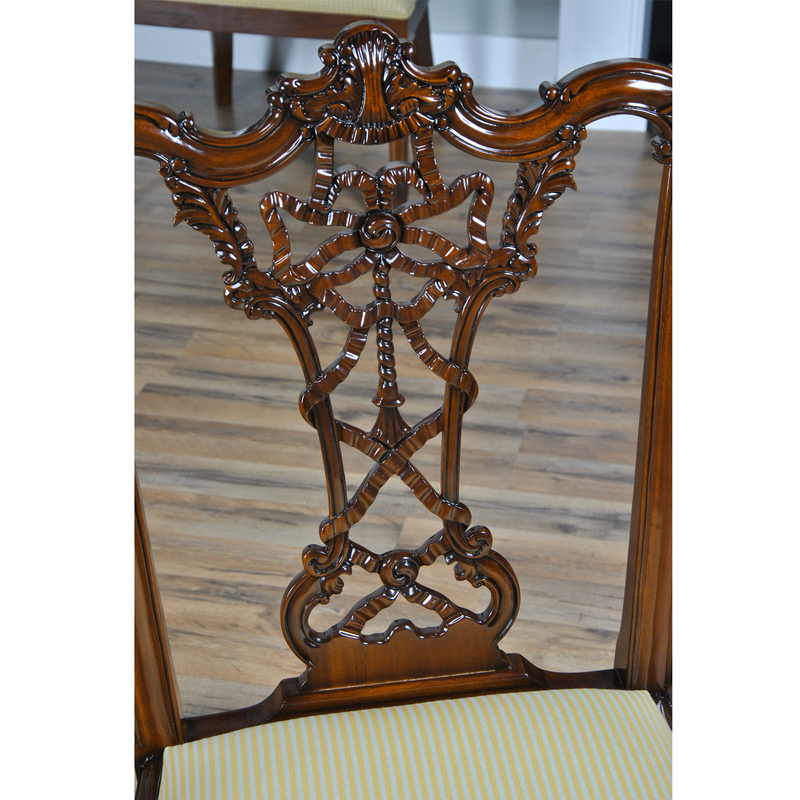 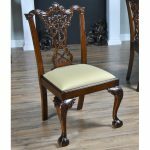 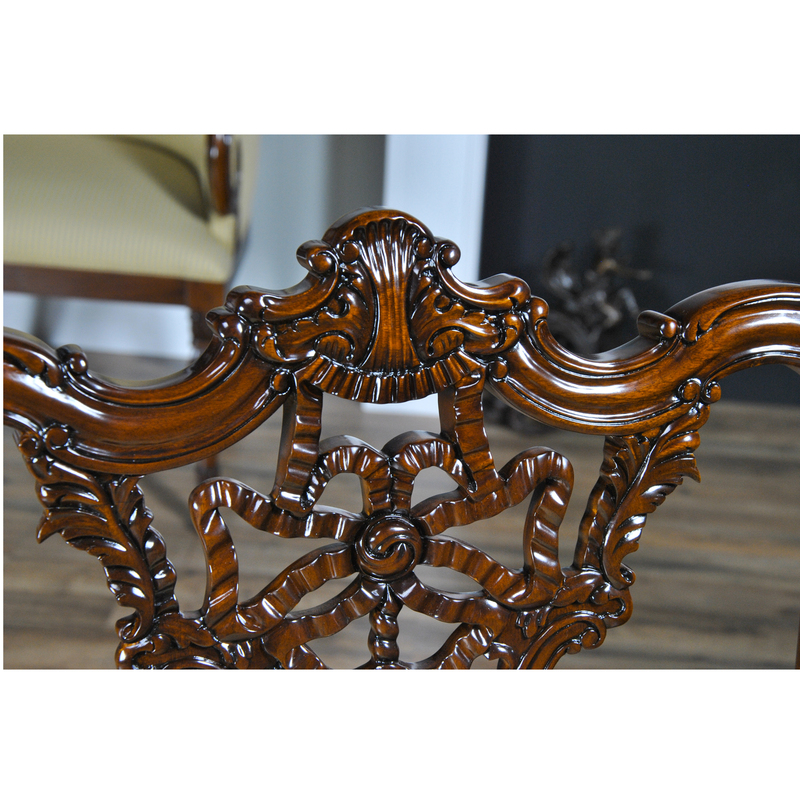 These Carved Mahogany Chippendale Chairs feature ribbon and foliate carvings, exaggerated ears on the ends of the crest rails, curved and scrolled arms, acanthus ball and claw feet are available for a very reasonable price.